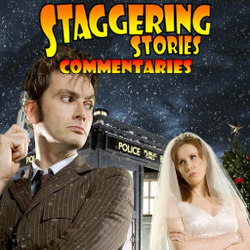 Adam J Purcell, Andy Simpkins and Keith Dunn sit down, ear-ached, in front of the 2006 Christmas Doctor Who story, The Runaway Bride, and spout our usual nonsense! BBC: Doctor Who – The Runaway Bride. Wikipedia: Doctor Who – The Runaway Bride. 02:44 — Doctor Who: Twelfth Doctor named as Peter Capaldi. 06:41 —– Doctor Who: Series 7 Soundtrack released in the UK on 9th September 2013. 06:46 —– The Hobbit: Extended An Unexpected Journey DVD & Blu-ray released. 06:55 —– Star Wars: New Dark Horse comic series based on the original script. 07:02 —– Avatar: James Cameron is working on three sequels. 07:06 —– Doctor Who: New figurine part work series starts on 28th August 2013. 07:53 — Amelia: Favourite name for baby girls in the UK, again! 10:03 — David Tennant: Treading the boards in Richard II. 10:13 — Jenna Coleman: Featuring in Death Comes to Pemberley. 10:55 — Nea: Best wishes after the burglary. 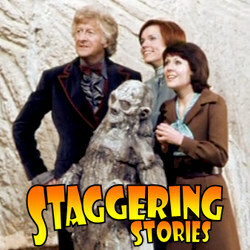 11:37 – Doctor Who: Trial of a Doctor – The Fourth Doctor and The Talons of Weng-Chiang. 26:05 – Game: Connect Four. 37:34 – Doctor Who: Regeneration limit and the Twelfth Doctor. 91:46 – Farewell for this podcast! 92:05 — End theme, disclaimer, copyright, etc. Wikipedia: Doctor Who – The Talons of Weng-Chiang. 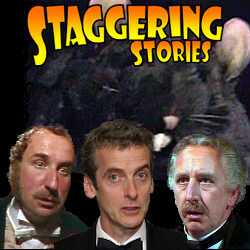 BBC: Doctor Who – The Talons of Weng-Chiang. Wikipedia: Evil Dave’s recommendation of Front Line Assembly. Wikipedia: Evil Dave’s recommendation of Razed in Black. Wikipedia: Evil Dave’s recommendation of :wumpscut:. Wikipedia: Evil Dave’s recommendation of Abney Park. Wikipedia: Evil Dave’s recommendation of Emilie Autumn. Wikipedia: Evil Dave’s recommendation of Jordan Reyne. Wikipedia: Evil Dave’s recommendation of Voltaire. 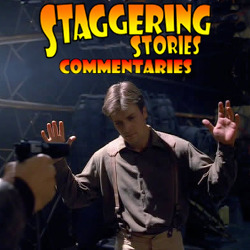 Adam J Purcell, Andy Simpkins and Keith Dunn sit down, gasping, in front of the Firefly episode, ‘Out of Gas’, and spout our usual nonsense! Wikipedia: Firefly – Out of Gas. 02:08 — Doctor Who: Moffat promising closure. 04:41 — Doctor Who: IDW losing/dropping comic licence. 08:46 — Star Wars: John Williams is back to score Episode VII. 10:52 — Firefly: Online mobile game coming. 12:42 — Dredd: Official movie sequel petition. 14:32 — Crowd Funding: Big Finish’s Cleaning Up and Neil Gaiman computer game Wayward Manor. 17:15 — The Avengers: Big Finish to remake (as audio) the missing episodes of the TV series. 22:36 — Gillan Watch: Galloping slaphead! 25:55 — Accident: Get well Gail Willis! 26:38 – Doctor Who: Trial of a Doctor – The Third Doctor and Death to the Daleks. 40:44 – Game: Connect Four. 45:17 – BBC Proms 2013: Doctor Who. 75:00 – Farewell for this podcast! 75:49 — End theme, disclaimer, copyright, etc. Wikipedia: Doctor Who – Death to the Daleks. BBC: Doctor Who – Death to the Daleks.